"Big turd right there" - Thankfully right there is always in the toilet. "adventure Mum and Grandpa" - Whenever I tell him we are going somewhere, he jumps right to adventure Mum and Grandpa because of our upcoming vacation in October. "shut the door" - When we put him down for bed, he says good night then follows quickly with this lol it's like he's a teenager already! "more!" & "no" - these are 2 words I wish he would have never learned! He knows to say "Xbox next episode" when we are watching Netflix, and it has actually worked a couple of times. If music is on he shouts "dance party mama" it is very adorable. These are just a couple of things that he says on a daily basis. It is so adorable listening to the things he says, and sometimes I am the only one that actually understands him. 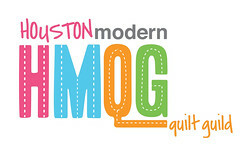 I hope everyone has a great weekend :) I'm looking forward to the HMQG sew-in tomorrow. Hooray for uninterrupted sewing time from 10am - 4pm! Aren't they hilarious at that age!!! Love it, esp the turd, hahahahaah!!!! Haha sounds like endless entertainment!